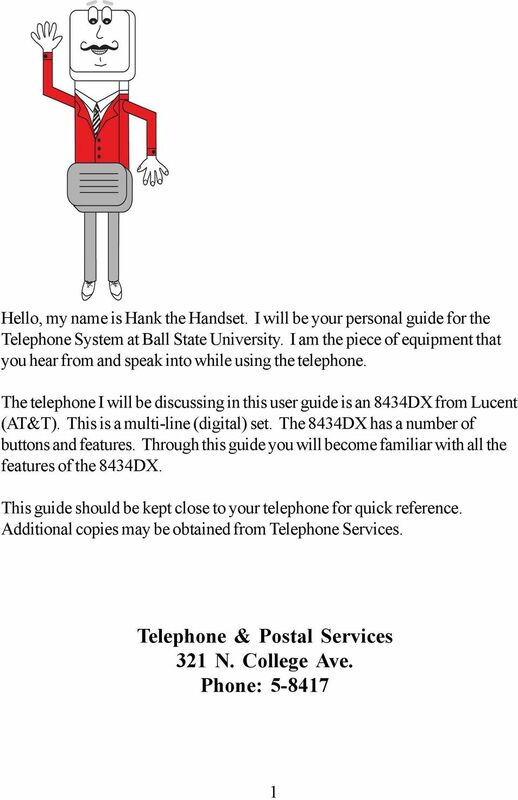 Download "Telephone User Guide. 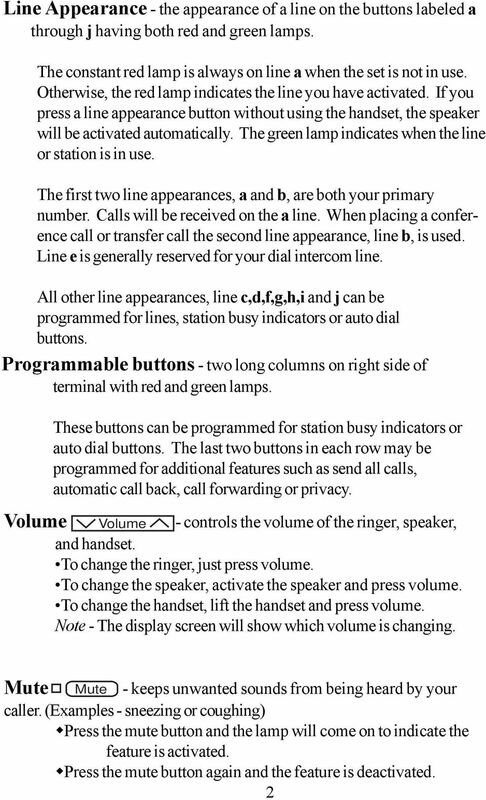 8434DX Voice Terminal TELEPHONE AND POSTAL SERVICES"
Unified Communications Avaya 434DX Telephone User Guide Contents Avaya 434DX Diagram 4 SECTION 1 FIXED FEATURE BUTTONS Call Appearance.. Conference Drop.. 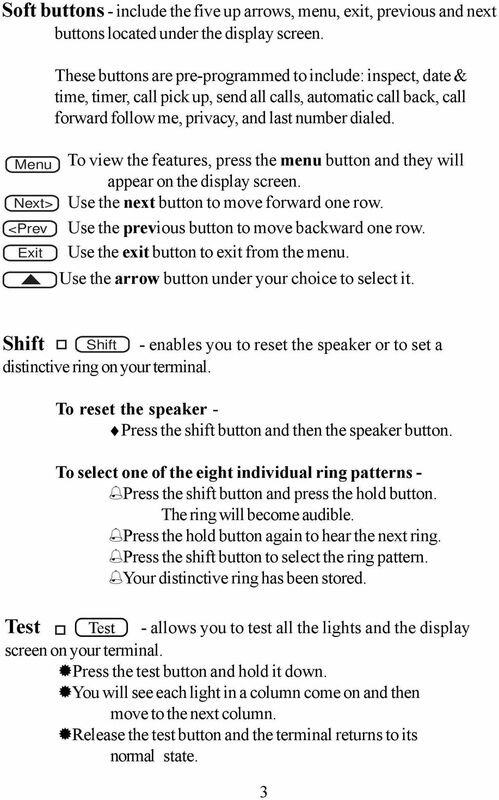 Feature Buttons. Hold.. Message Light. 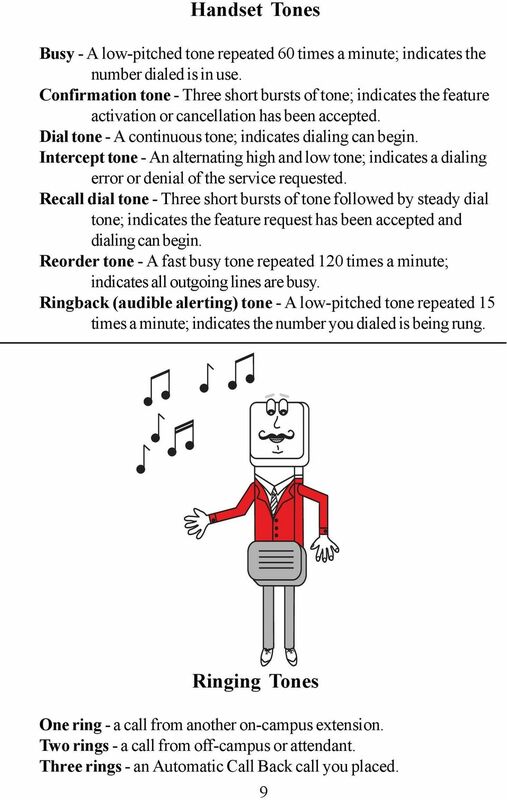 Mute. 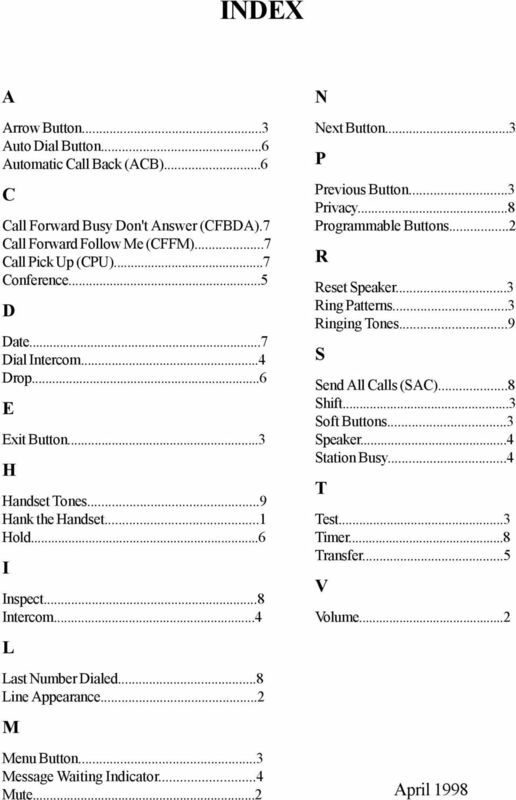 Shift..
2616 TELEPHONE. 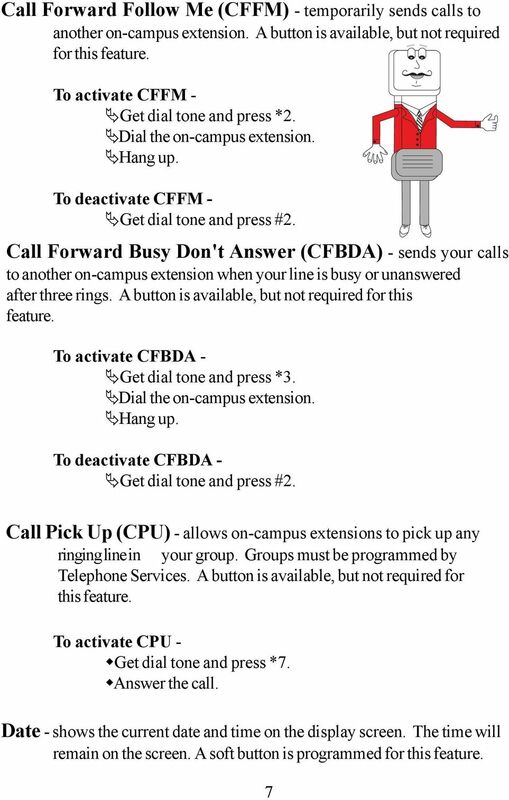 Listed below are the basic key functions that can be added to the phone. 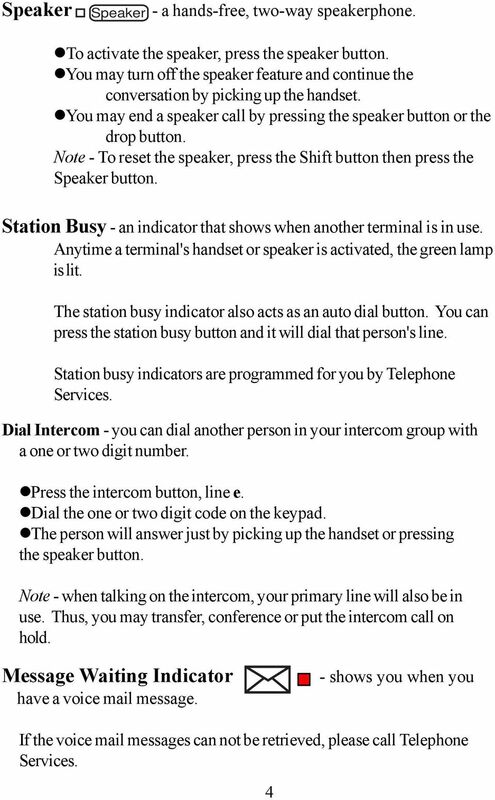 ISDN FEATURE ACCESS CODES INTRODUCTION These dialing instructions are a quick reference on how to use the most common ISDN voice features with atone Commander, Lucent, AT&T, or Fujitsu ISDN telephone set. 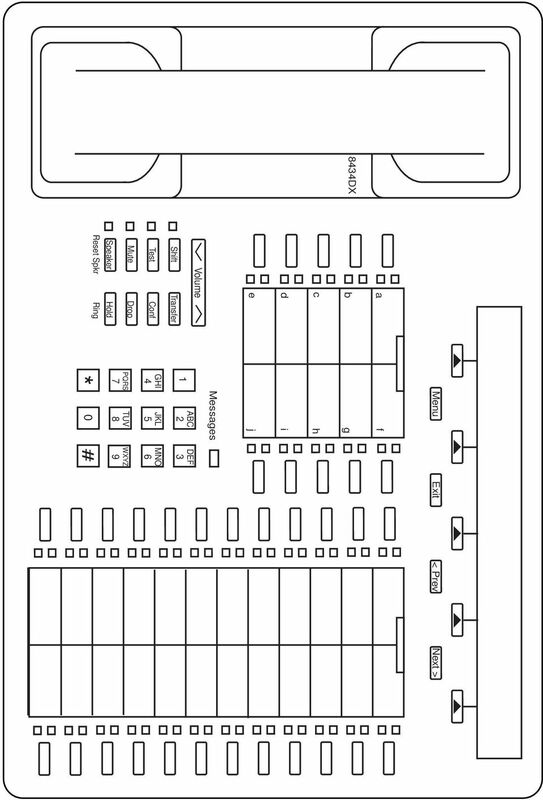 3904 USER GUIDE. 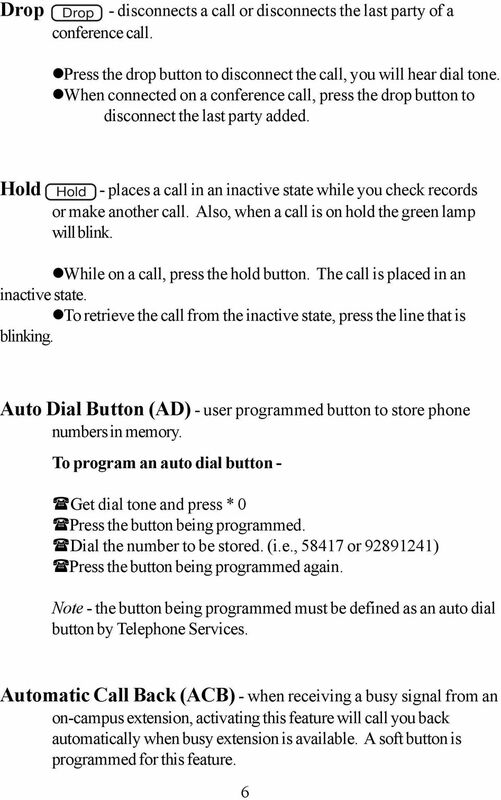 Stores one phone number per key for quick dial. 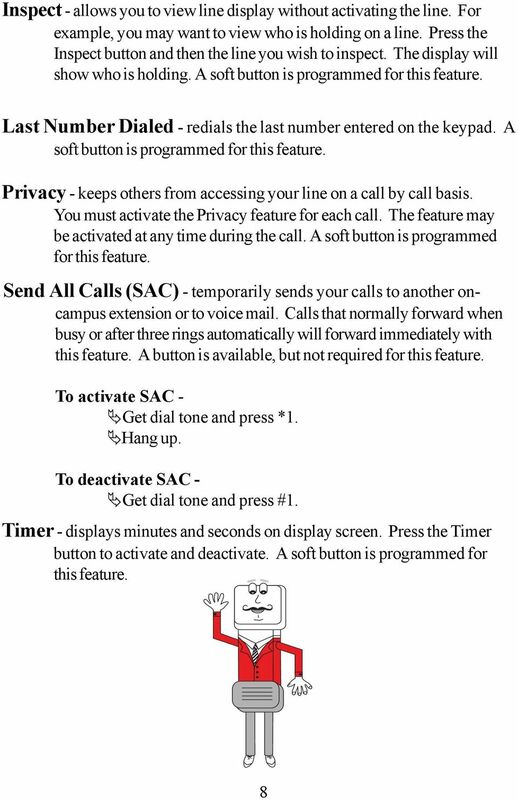 AUTO DIAL To Program NOTE To Dial CALL PARK - Park a call - Retrieve the call CALL PICKUP Without Call Pickup key With Call Pickup key CALLING PARTY PRIVACY Stores one phone number per key for quick dial. 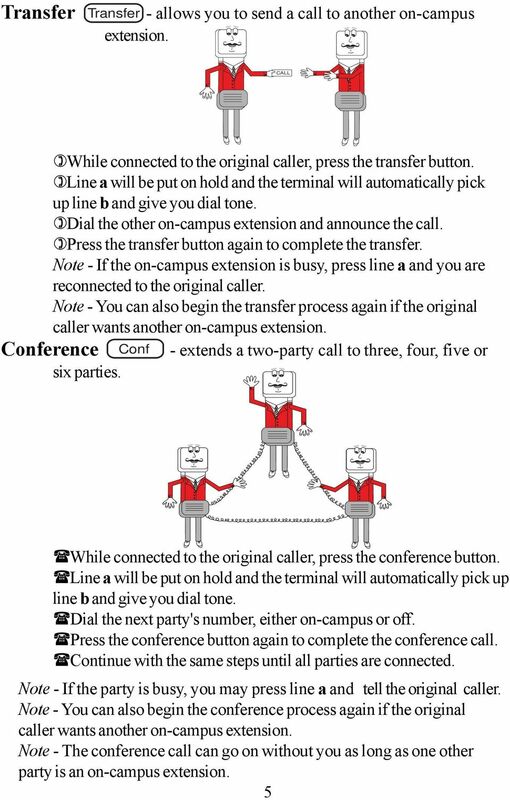 Humboldt State University TNS User Support 826-5000 661 Digital 661Digital User Guide Humboldt State University owns and operates its own telephone switch, often referred to as a PBX (Private Branch Exchange).